Delete the selected version of the schedule. This operation cannot be undone. To delete an existing working revision, select the schedule from the drop down menu, click on the check box next to the working revision, and select 'Delete Version'. 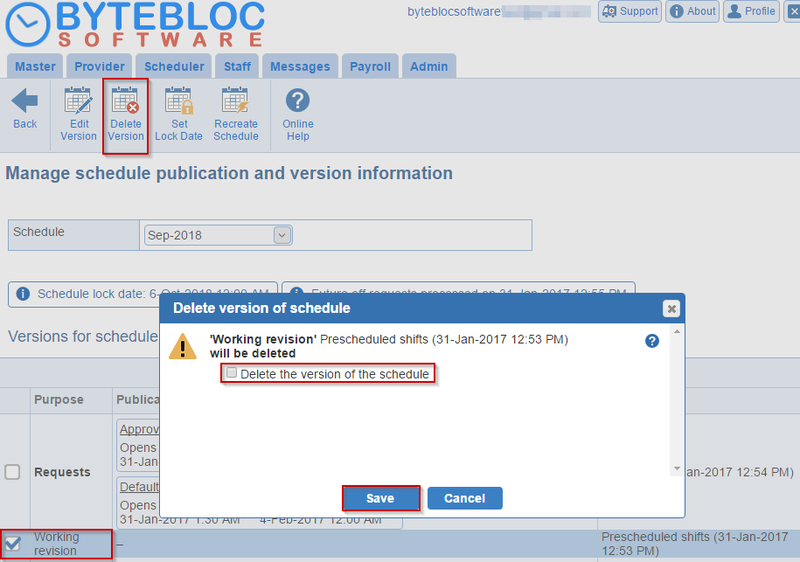 Confirm within the 'Delete version of schedule' window to delete by selecting the check box for 'Delete the version of schedule'. Lastly, click 'Save' to remove the working revision. Note: Only working and draft revisions of the schedule can be deleted. Additionally, the last variant for a schedule can be deleted only for the last schedule. This is a precaution against accidental deletion.